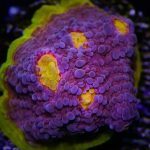 Devastating story over at REEF2REEF where an infestation of flatworms annihilated an amazing 300g tank. 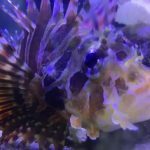 The reefer used Salifert’s Flatworm eXit — and it worked — but the dying flatworms released toxins that killed everything in the tank except a wrasse that was hiding out in the sand. The biggest thing I learned here is that if you notice red flatworms then you NEED to get rid of them before they turn into a plague. I have used flatworm exit in the past on previous tanks without ANY issues. This current tank was one of the first tanks where I struggled to keep nutrients IN. I assumed I was immune to them; I let them get out of hand and by the time I noticed them on the sand bed they were deep in my rock work giving me a false sense of security thinking I had them under control. Once they reach plague levels I feel they are worse than red bugs, AEFW, and monitpora nudibranch because of their ability to destroy ALL livestock in your tank upon death. You need to make a concerted effort to siphon out 75% – 85% of the total infestation before dosing your system. The less worms, the less damage basically. Mix up and age some saltwater for a few days, in preparation for a 25% water change. The goal: to remove the toxins the red planaria release as soon as possible. When you are about to use Flatworm eXit, all filtration should be off for the time being, but leave all the pumps on. No GFO, no biopellets, no skimming, no carbon. Within 15 minutes you’ll see them dying. Siphon out all that you can see with airline tubing; they will be visibly active. You’ll see some dangling off a weblike thread, and you may see 5, 6 or 7 of them like kites on a string. Siphon these out as they die. After a total of 15 more minutes, start up the canister filter with carbon (1/2 cup of GAC per 50g), and your skimmer. After an hour, do the water change. You can restart the GFO and biopellets thereafter.